Having trouble figuring out Rome airport is best to fly into — or which airport is most central? I don’t blame you. Rome has not one, but two, airports — Fiumicino (FCO) and Ciampino (CIA) — and they’re both international. So how do you decide between them? First of all, keep in mind that you may not have to decide. If you’re coming straight from the US or Canada, your flight will land at Fiumicino. Easy. But if you’re coming from Europe or elsewhere, you may have the option. Here’s how to decide which Rome airport is best to fly into. Also: how to order coffee in Italy, my love affair with Italy’s sexiest train line and 5 tips for taking great photos in Rome. Both airports serve airlines from all over. But when people talk about Rome’s “international” airport they usually mean Fiumicino, Rome’s main international airport. If you’re flying an airline like Alitalia, American Airlines or British Airways, you’ll be coming into Fiumicino. Still, compared to international airports like London Heathrow, Fiumicino isn’t huge. There are four terminals, three of which are in the same building; only one, Terminal 5 (which serves passengers coming from the US and Israel), requires a short shuttle bus to get to. I find the size to be nice. It’s small enough that it’s always very easy to find someone after they’ve landed (and to navigate yourself), but large enough that it has some nice shops while you’re waiting for your flight. And I don’t know about you, but I’m always glad that I don’t have to walk 30 minutes from the gate to the exit. 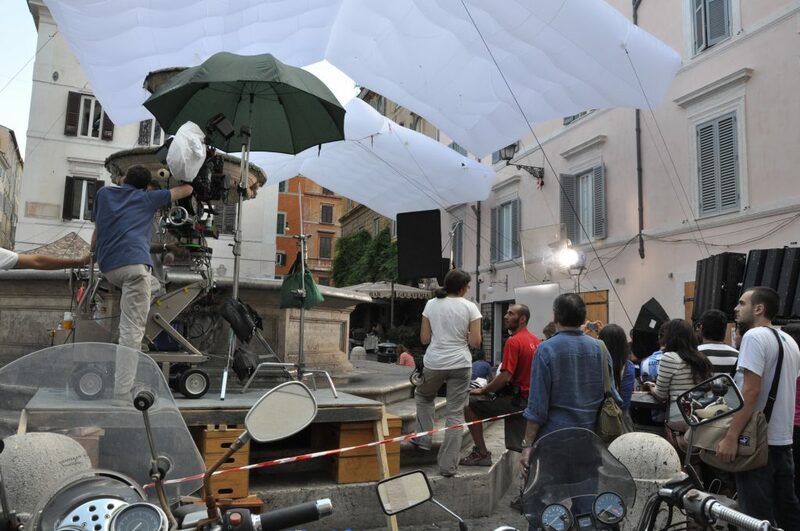 Want to know the weather in Rome, Italy? You could obviously just check out the forecast. (Not that that’s necessarily that reliable). But you’ve wound up here instead, so I’m guessing you don’t want to know the Rome weather coming up in the next few days — you’re looking further ahead and curious what, say, the weather in Rome is usually like a few weeks or even months from now. Maybe you’re trying to decide when to come to Rome. Or you’ve already chosen your dates, and you need to know what to pack. Although I resisted writing a post about weather in Rome for a while (compared to all of the incredible art and unknown museums and underground ruins and gelato gelato gelato the topic just seems so… banal), I get asked about it enough that it seems like it’s time. So: here’s what to expect, season by season, in terms of the weather in Rome. And what this means in terms of what to pack and prepare for. (PS: If you are looking for the weather forecast in the near future, two of my go-to sites are Weathercast and Accuweather). This is when things get nice and sweaty. Temperatures peak in July — that’s when you’re looking at an average high of 88°F (31°C). (While the average low is a comfy 62°F/17°C, if Rome ever hit that temperature in July, I’m pretty sure it’s while I was sleeping). It’s also the driest month of the year, with less than an inch of average rainfall. August is about the same — plus you have the double-whammy of the uber-crowds and that it’s ferragosto (read: when many restaurants and shops close as locals, reasonably, flee to the seaside). If you can swing it, June is milder and less crowded, especially earlier in the month. This month, New York Magazine is taking a little trip to Italy, with stories every day on the trials, tribulations, myths and magic of la bella vita. I'm excited to be contributing ten (count 'em… ten!) different pieces throughout the month. I'll be updating this post with the links as they publish. Enjoy! Three pasta recipes to impress your Italian lover. Yes, you can recreate those amazing pastas you had in Rome, at home. How do I know? Because if I can do it, anyone can. Here's how. From Italian nutritionists: Eat cookies for breakfast. In moderation, of course. That, and how to fit gelato, pasta and cappuccino into your diet, straight from the mouths of Italian dieticians. You're welcome. 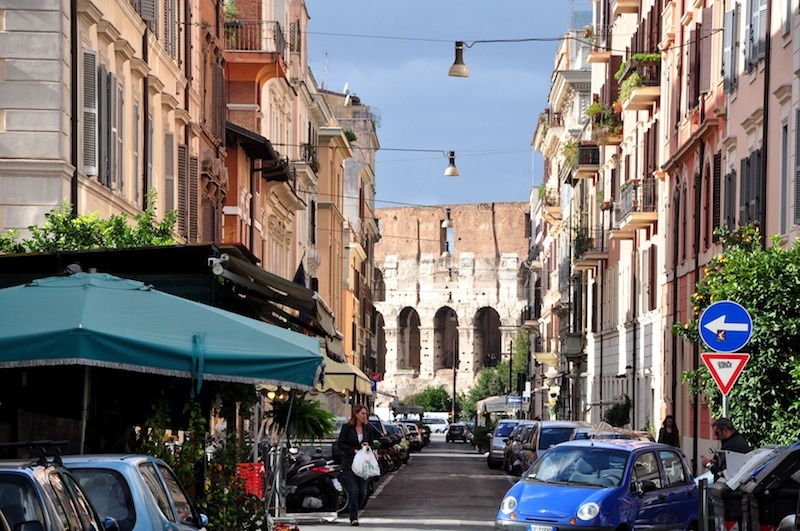 To Rome with love: Six hidden-gem neighborhoods refreshingly free from tourists (for now). Even devoted readers of Revealed Rome will find some surprises. That's a promise. Wild, medieval, non-touristy Umbria: A brief tour. It's my favorite region in Italy. Here's how to get started on exploring it — whether in a day or seven. Naples: Less garbage, just as much to love. 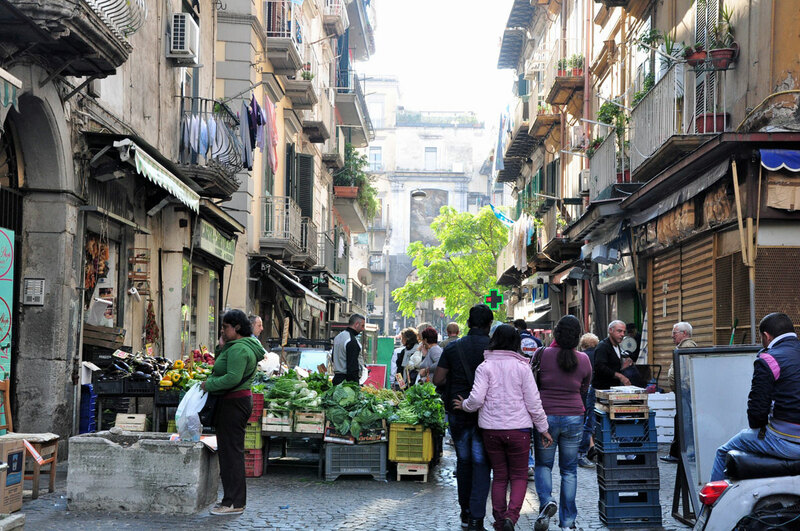 Not everyone falls in love with Naples, a city almost as maligned in Italy as it is abroad. I did. 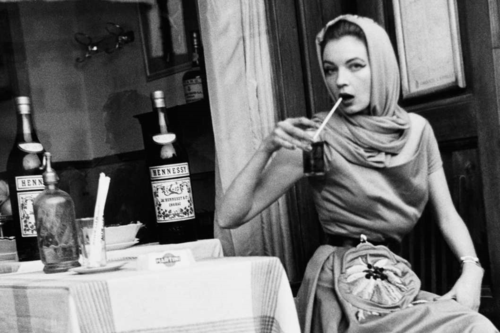 Here's why (and why it might deserve a stop on your next Italy trip). Is your olive oil lying about its virginity? (It might not even be Italian!). My Q&A with intrepid investigative reporter Tom Mueller on an industry so scandalous, profits from fraudulent oil are on par with those from cocaine trafficking — and on why you should care. Why won't Italians have cappuccino after dinner? Plus: can colpo d'aria (a hit of air) really give you a neck pain? And does a digestivo really help you digest? I talk to doctors to get to the truth behind eight rules that many Italians insist you follow — because otherwise, you might getsickandDIE. Want real Italian food? Skip these seven dishes. From spaghetti and meatballs to fra diavolo, some of the plates most beloved by Little Italy neighborhoods across America are all but impossible to find in the motherland. Here's why, and what to order instead. The mayor shouldn't have gone to Capri this summer. Here are five other Italian islands I'd have sent de Blasio that are every bit as stunning as the glitzy isle, but far more under the radar. 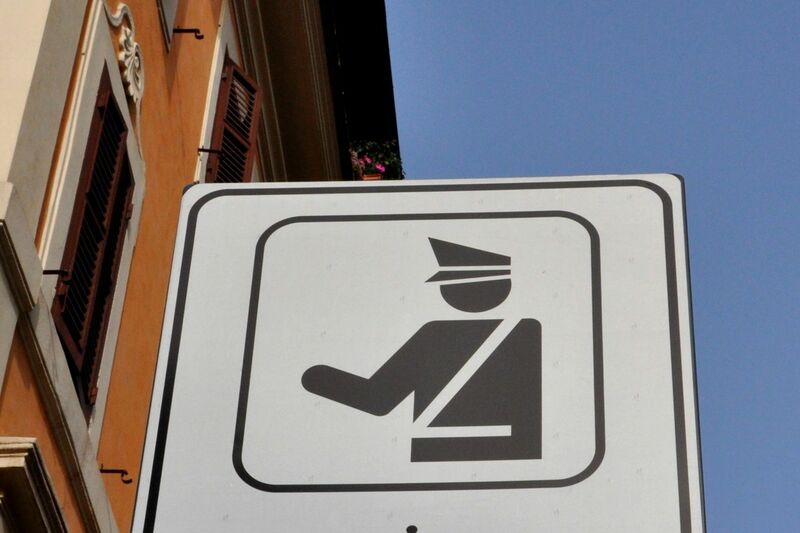 Need to get from Ciampino airport to Rome? Yeah, you could take a taxi. But unless some serious stress and/or getting ripped off immediately on landing in Italy is your thing, you probably won’t want to. Luckily, there are lots of other ways to get from Ciampino to Rome. Better yet, these options are easy, fast… and much cheaper than taking a taxi or transfer. All of these options get you into the Termini train station; from there, you can jump on Rome’s metro (either the A or B lines), take a bus, or grab a cab (from Termini, it shouldn’t be more than €15 at the most to get to another part of the city center). (Wondering about Uber? Don’t worry — that’s at the end too). (Note: This information has been updated as of December 2018). Figuring out the neighborhoods of Rome can be a little confusing. Even though it’s a big city, most tourists spend most of their time in the centro storico — and that’s where most hotels are, too. 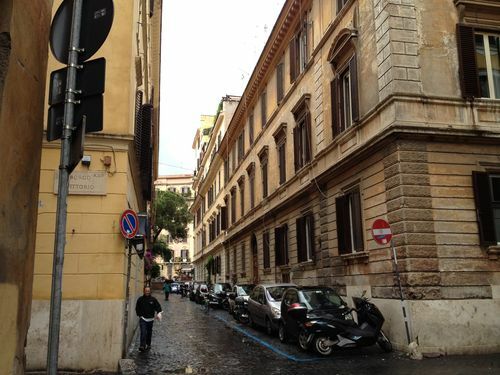 But simply looking for accommodation in Rome’s “historic center” isn’t enough. That’s because the center is divided by neighborhoods, some of which feel pretty different from the next. So you’ll need to know not only that you want to stay in the historic center… but which neighborhood to stay in in the centro storico, too. What is the centro storico? 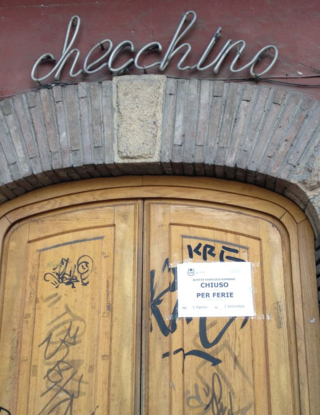 If you want to stay in the centro storico, you first need to know… what is the centro storico. 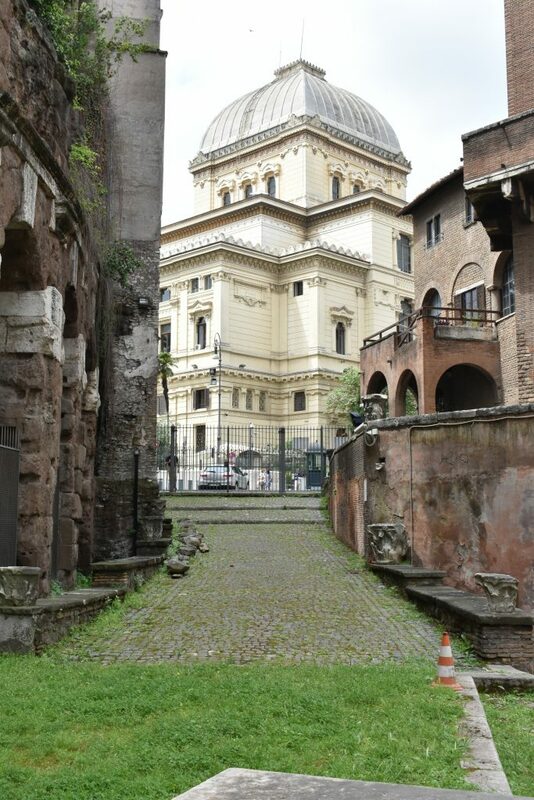 Technically, the centro storico is the area of Rome that’s bordered by the 3rd-century Aurelian walls and by the mura gianicolensi, which include the Vatican walls. There aren’t many good maps online that have the walls clearly delineated. This is one of the best I could find. 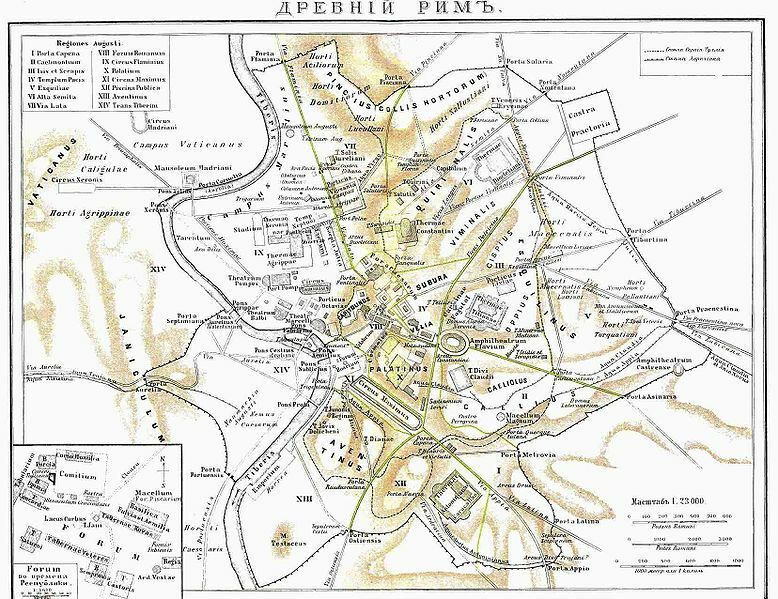 The thin, black line running around the entire center is the Aurelian walls. (You can find it by looking at the square marked “Castro Pretorio” in the upper right-hand part of the city). 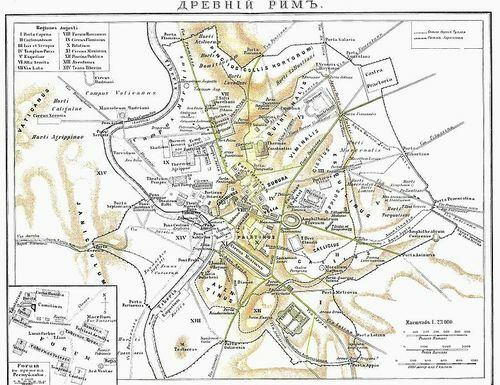 Although the neighborhood and monuments are all ancient Roman, you can get some perspective by looking for the Colosseum (a little ring almost right in the center), Circus Maximus (to the southwest of the Colosseum), and the Tiber. 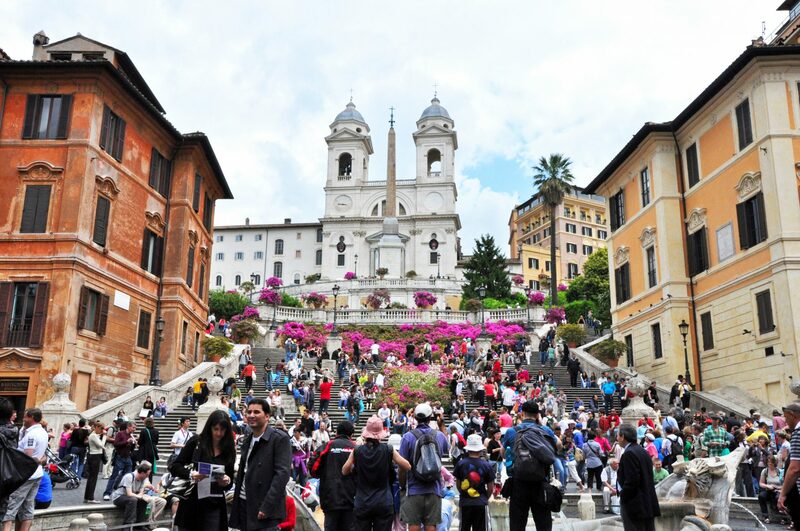 This area—which includes not only the Colosseum and forum, but the Spanish Steps, Piazza del Popolo, Piazza Navona, Pantheon, and Vatican — is the historic center. 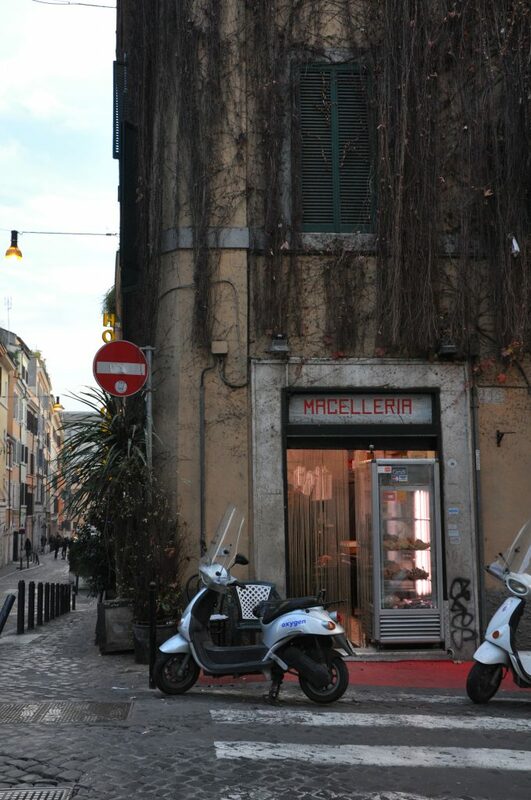 And if you’re staying in Rome, this is where you’ll probably want to stay. 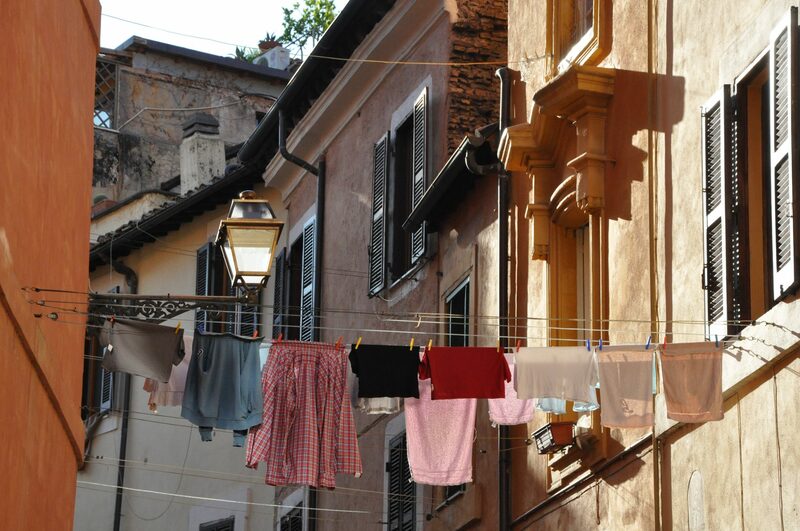 (Nota bene: There are, of course, many other, perfectly pleasant neighborhoods in Rome outside of the historic center. But I’m sticking to the centro storico here just because it tends to be most conveneint for most people). Now, for the neighborhoods. (I recommend opening a tab with Google maps and keeping it handy so you can refer back and forth!). This isn’t technically a neighborhood, but I’m using it as shorthand for the central area that most people think of when they think “Rome”—the triangle with Piazza del Popolo in the north, the Spanish Steps and Trevi Fountain to the east, and the Pantheon and Piazza Navona to the west. This stunning area is home to cobb where most people want to stay. Of course, it’s also where hotels are the most expensive, where the streets crowd with tourists and shoppers, and where 99% of restaurants are overpriced and mediocre. On the other hand, every corner looks like a postcard. Hey, you win some, you lose some! This northeastern corner of the historic center is home to the winding Via Veneto. The street is famous for its hotels—although most seem, at least to me, to be huge and overpriced. Meanwhile, the rest of the area, especially near the Barberini and Repubblica metro stops, feels like a big city. For the most part, forget cobblestones and quaint churches. This is where the buildings are tall, the streets wide, and the passersby businesslike. 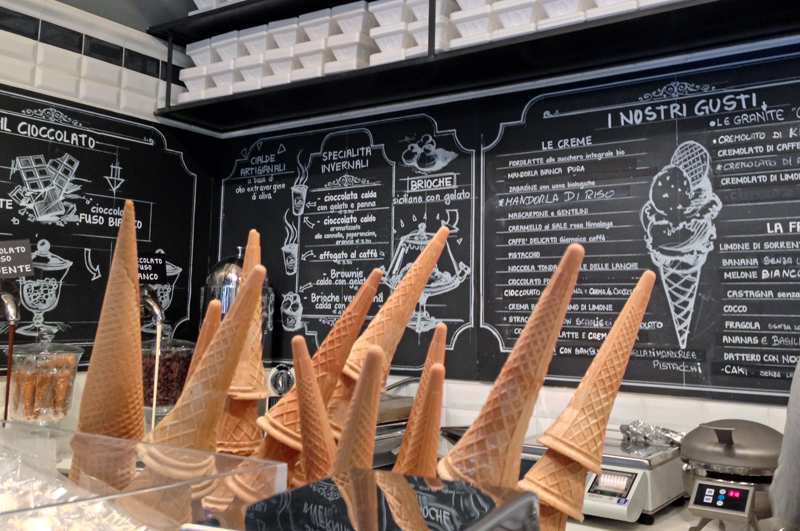 Then again, the Repubblica area is home to my favorite gelato shop, Come il Latte, so… there’s that. 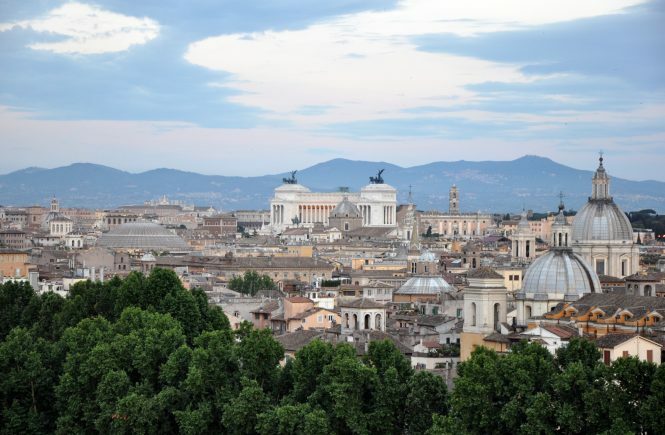 Although some hoteliers diplomatically call this neighborhood “Monti,” anything from Piazza Vittorio Emanuele to Santa Maria Maggiore and northeast to the Termini train station is, more properly, the Esquiline hill. In general, the neighborhood here tends to feel gritty and look grungy. This is where you’ll see immigrants hawking counterfeited purses, homeless people huddling in corners, and garbage littering the street. It’s also home to many of Rome’s cheapest hotels, hostels and B&Bs. The area tends to be perfectly safe. Rome is, as a whole, much safer when it comes to muggings and violent crimes than pretty much any city in America, as well as Dublin, London and Paris. But it may not be what you imagined when you first pictured Rome. Also keep in mind that, while it may seem very convenient to stay near the train station, and while that means this area is well-connected by metro and bus, it’s not within easy walking distance of most of the major sights, like the Pantheon and Piazza Navona. 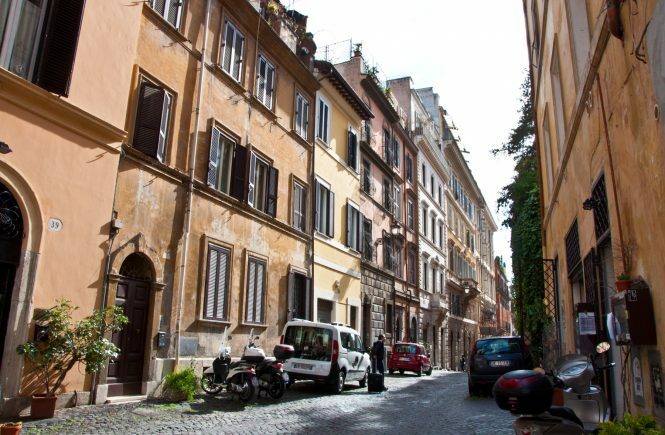 In ancient times, this rione was the red-light district, home to gladiators and prostitutes (Julius Caesar even moved there to show he was “one of the people”). Today, it’s a gorgeous little neighborhood filled with medieval palazzi, cobblestoned streets, and an eclectic mix of traditional trattorie and hip boutiques. 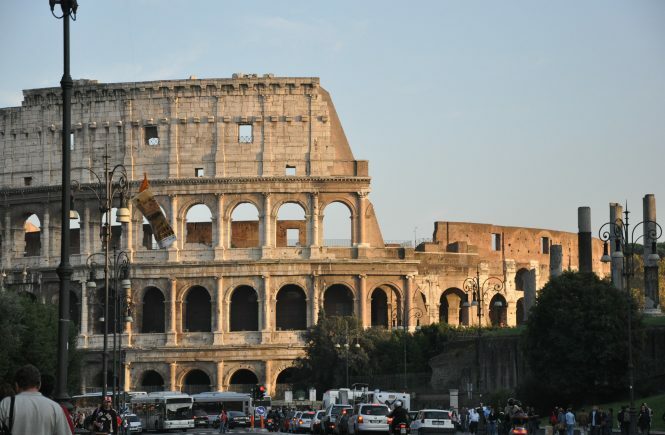 If you want to stay here, look at the area bordered by Via Nazionale (to the west), Santa Maria Maggiore (to the north), the Colle Oppio park (to the east), and the Roman forum and Colosseum (to the south). 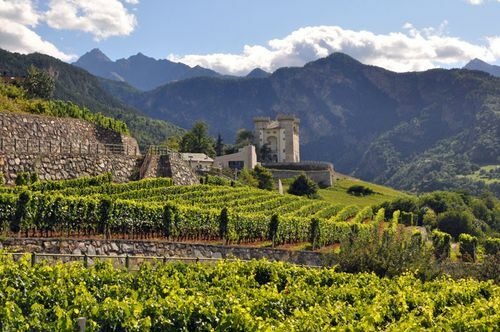 Further southwest of Monti is Celio, another rione with a strong history. The couple of blocks right around the Colosseum tend to be touristy and busy during the day, but the rest of this area, which stretches southeast to the Basilica of San Giovanni in Laterano, feels quiet and residential. I lived here for four years, and I still think it’s one of the most underrated areas of the city. 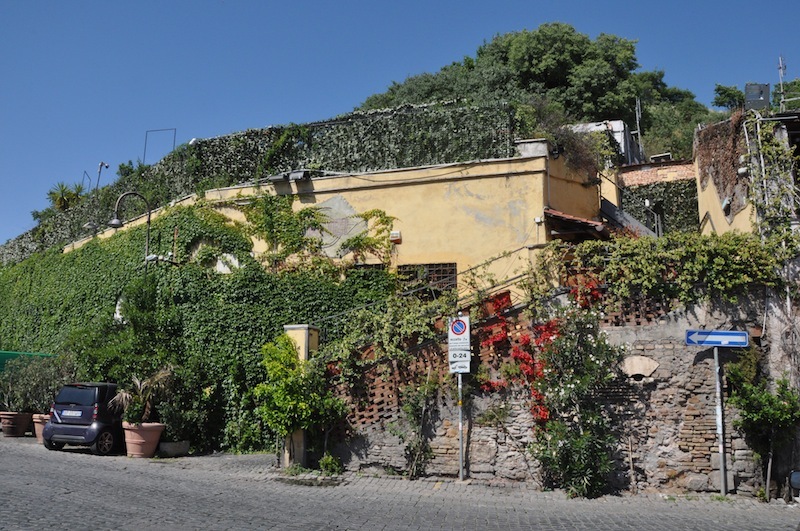 This hill, just south of the Circus Maximus, is home to some of the loveliest streets and homes in Rome. Its small size and exclusivity mean there are few hotels and B&Bs here. It also doesn’t feel like it’s “in the middle” of anything, thanks to its greenery and the fact that it’s at least a 15-minute walk to most of the major sights. This neighborhood is really a sliver, tucked just to the south and west of Circus Maximus. 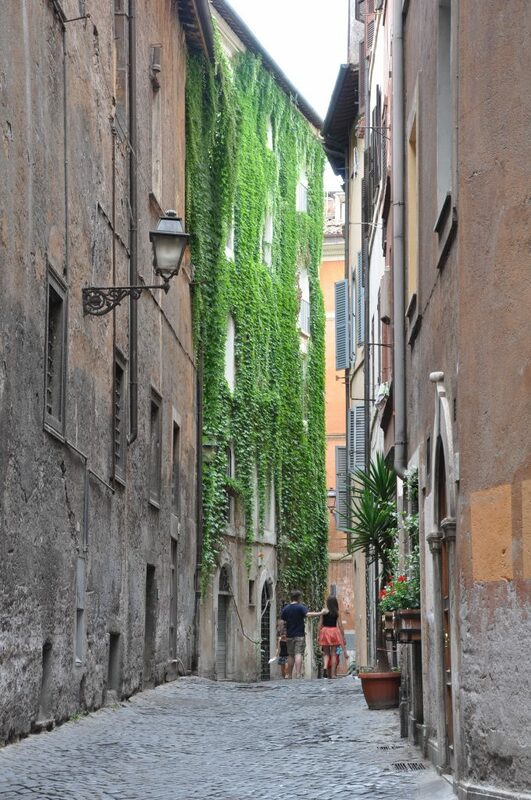 The neighborhood has some wonderful sights — including the Church of San Giorgio in Velabro, the Arch of Janus, and the Church of San Nicola in Carcere — and it’s just a three-minute walk to the Jewish Ghetto and Piazza Venezia. It’s also tranquil, lovely and off the beaten path. 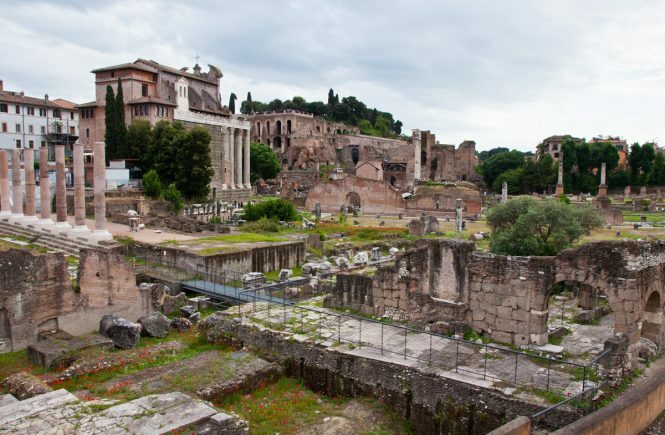 From Piazza Venezia to the Tiber, you’ve got beautiful ancient ruins, the Jewish Ghetto, lively Campo dei Fiori, and my favorite piazza in Rome, Piazza Farnese. This district has the atmosphere (and history) of the area around Piazza Navona and the Pantheon, with half of the people. Just over the Tiber from Campo dei Fiori and the Ghetto is Trastevere, an atmospheric district that, today, is as likely to be home to American study-abroad students, expats and wealthy Italians as the working-class and bohemian Romans who once lived here. Still, the neighborhood remains charming. There are plenty of corners and tiny streets where life is still lived much as it would have been decades ago. If you find the center of Rome’s centro storico too confusing and chaotic, consider Prati. This area around the Vatican, just over the river from sights like Piazza Navona and Piazza del Popolo, was laid out in the 19th century, so its grid system and wide boulevards look more continental and, well, organized than the rest of Rome. 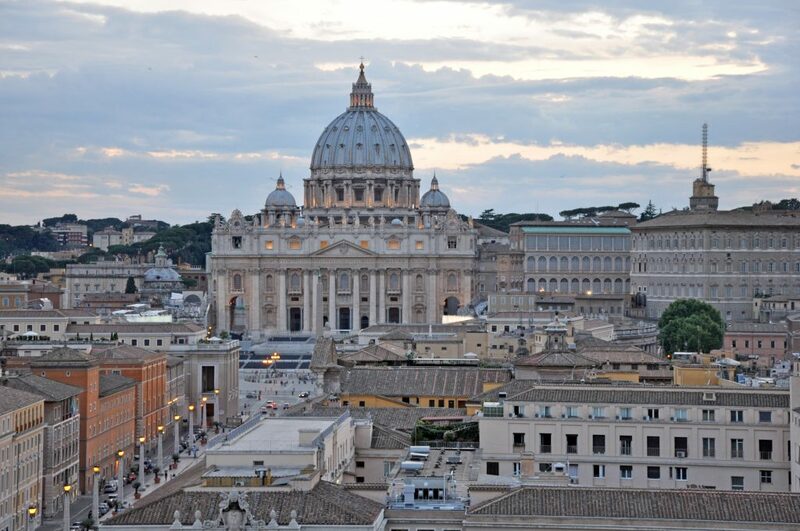 The area right around the Vatican museums and St. Peter’s is extremely touristy. But once you get a little farther away, authentic restaurants and the rhythm of daily life in Rome abound. It’s also easier to find cheaper accommodation here. 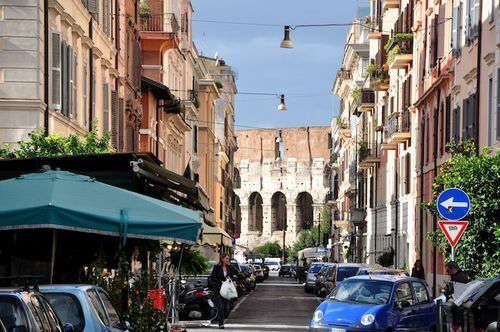 Just south of the Aventine, the Testaccio quarter is one of the least touristy in Rome — and has some of the best restaurants and bakeries in the city. The ancient area, which gets its name from “Monte Testaccio,” a hill that literally was created because it was a dump for ancient Roman amphorae, can feel more modern and gritty than the center of the city. But it’s perfectly safe, cheaper than the center, and convenient: Thanks to the metro and lots of buses here, you’re just 5 to 15 minutes away from Trastevere, the Colosseum, and the heart of the historic center. 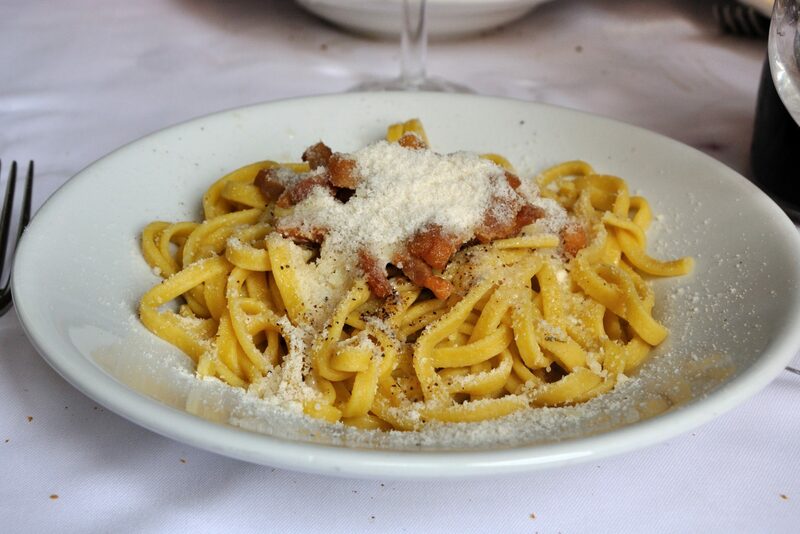 Also: six of the best trattorias in Rome, how to act like a local and where to find that perfect souvenir or gift in the city. The short answer: The dish either isn’t Roman — or it’s not Italian. While that has downsides, I, for one, tend to think that’s pretty cool. It makes the experience of traveling around Italy even richer and more rewarding. It also helps provide that the food you eat is made in a way that’s been time-tested by the same locals serving it up to you. And it helps ensure that those recipes use fresh, local ingredients. 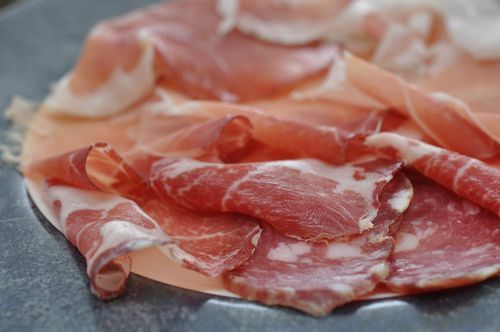 On top of that, though, though, there are some foods that you could comb all of Italy for and still not find. Except, of course, in the kinds of restaurants that dish up mediocre, microwaved food at inflated prices… to tourists and tourists alone. Why? Because these foods aren’t Italian. They’re Italian-American. What dishes do I mean? Here’s a list of five Italian dishes that people expect, but will find much more easily in Chicago or New York than Italy. Also: my favorite trattorias in Rome, where to find the best gelato and how to pack for any season. 1. Lobster fra’ diavolo. This was served for the first time in New York City in 1908 — and using Maine lobsters! Don’t expect to find the dish, which features lobster in a red sauce (sometimes spicy, sometimes not), while you’re in Italy. 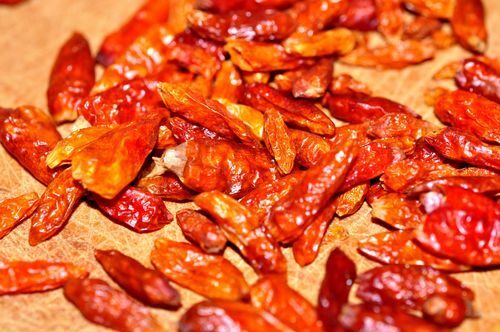 Like hot pepper? Don’t worry: There’s no end of ways to make your eyes stream in Italian cuisine. Instead try: pasta all’arrabbiata, pasta with a Roman sauce of tomatoes and red chili peppers that make it “angry” (hence the name arrabbiata). 2. Chicken or veal parmesan. Nope, not Italian. What is Italian, or at least southern Italian, is melanzane alla parmigiana, or what we know (roughly) as “eggplant parm” — eggplant fried and layered with tomato sauce, mozzarella, and parmesan, then baked. Using meat instead, and throwing it on top of pasta, was an invention of Italian immigrants in the United States and Canada. As with most Italian-American cuisine, chicken and veal parm probably came about as a way to show how much more Italian immigrants could suddenly afford in the New Country. Back home, most subsisted on cheap foods like polenta and black bread in brine. (Have you seen that at your local Olive Garden? Didn’t think so.) After all, meat and pasta were expensive. But now, with their newfound American wealth, these same peasants and laborers could write back home and say Hey, guess what we cooked, parmigiana made with veal! And served with pasta! Thus, chicken and veal “parmesan” — and lots of other meat-and-pasta dishes besides — were born. Instead try: If you’re in Sicily or the south, melanzane alla parmigiana. 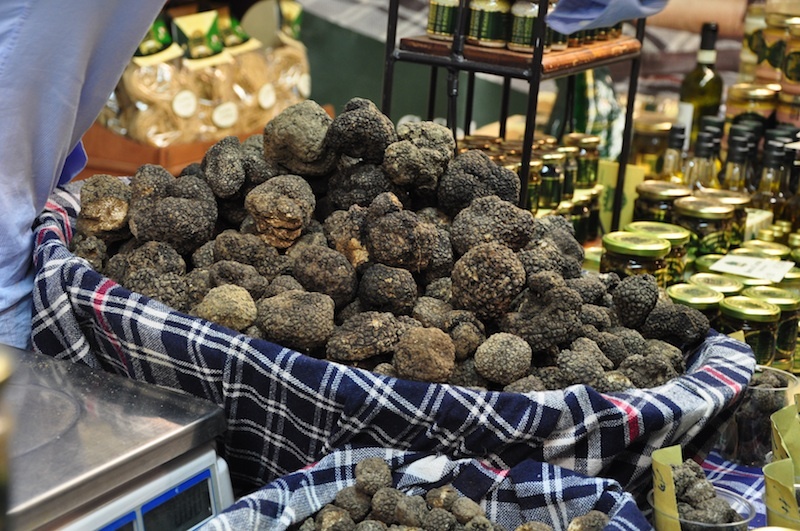 Warning: In Italy, this (delicious!) dish is probably as close as you’ll get to spaghetti and meatballs. Instead try: Hitting your meat and pasta notes separately, such as by ordering a pasta all’amatriciana (a Roman pasta with a red sauce of tomatoes and guanciale) and, if you can find them, separate polpettine di carne (meatballs). Bent on combining lots of meat with lots of pasta? 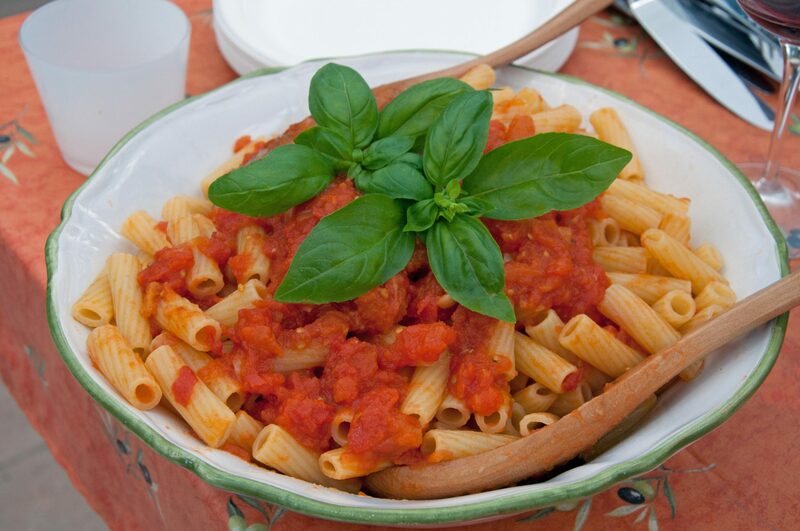 Your best bet will be a Tuscan or Umbrian ragù — but, with very little or no tomato and lots of minced-up meat, onion, celery, and carrot, it’s not the sauce you’re probably thinking of! 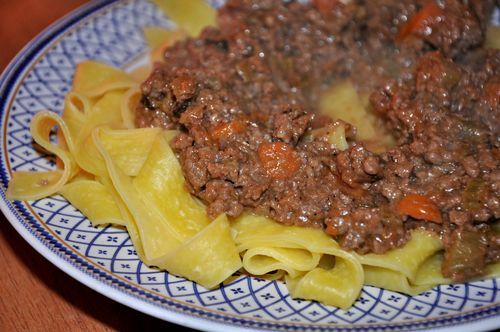 If you’re in Bologna, definitely try pasta alla bolognese, but steel yourself here, too: It may be redder than an Umbrian ragù, but still uses lots of meat and only a little bit of tomato paste. (In other words, it ain’t like the bolognese back home). 4. Garlic bread. The whole idea of smothering bread in either olive oil or butter with lots of garlic was invented in the U.S. in the 1940s, if not before. A similar version is known in Europe, too… in Romania. Instead try: bruschetta al pomodoro, toasted bread, often rubbed with a bit of garlic (but not nearly what you see with garlic bread! ), then piled with tomatoes and some extra virgin olive oil. 5. Olive oil to dip your bread into. It’s just not done in Italy, partly for the reasons I once wrote about in “Eleven Etiquette Mistakes (Not) to Make at an Italian Meal.” In short, you’re supposed to use your bread while you’re eating to mop up the sauce, not eat it before the food arrives. And, secondly, the flavor of olive oil is broken down by light and heat — the two things it’ll be exposed to if it’s just sitting on your table. Instead try: mopping up your sauce with the bread, and enjoying olive oil as it appears on the other dishes.